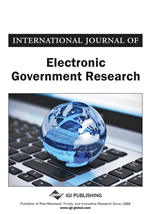 This article examines the theoretical ideal of information technology as an instrument of administrative reform and examines the extent to which that ideal has been achieved in the United States. It takes a look at the findings from research about the use and impacts of information technology from the time of the mainframe computer through the PC revolution to the current era of the Internet and e-government. It then concludes that information technology has never been an instrument of administrative reform; rather, it has been used to reinforce existing administrative and political arrangements. It assesses why this is the case and draws conclusions about what should be expected with future applications of information technologies — in the time after e-government. It concludes with a discussion of the early evidence about newer applications for automated service delivery, 24/7 e-government, and e-democracy.